With the recent and tragic deaths of English cricketer Tom Allin, Actor Alan Rickman and musician David Bowie, it is a refreshing to have a break and hear some good news in the celebrity world, such as an engagement of two people in love. 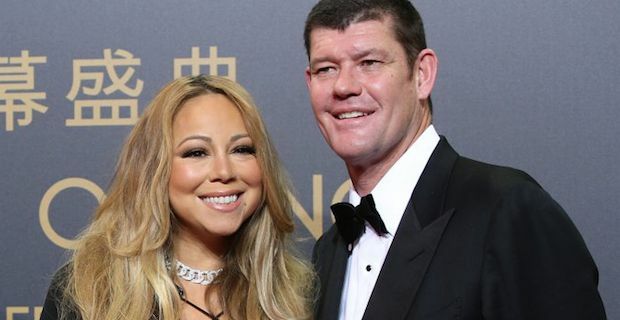 The US grammy award singer Mariah Carey has announced her engagement to Australian Billionaire James Packer. While in her home town of Long Island, New York, Packer proposed to the superstar with a 35-carat, yes 35-carat, engagement ring, to which she said yes. The 45 year-old singer will be marrying Australia’s 4th richest person who has a fortune that is estimated to be around £2.3 billion. The couple have been friends since 2014 and have been in a public relationship since June 2015. Marriage is not new for either of them as this will be the third marriage for both of them. Carey married music executive Mottola in 1993 but then filed for a divorce in May of 1997 largely due to his controlling nature. Mottola was quickly married 5 months after the divorce was finalized. She then married actor, comedian and TV personality Nick Cannon in April 2008. They had twins Moroccan and Monroe in 2011 but then divorced in December 2014. In 1999 Packer married model and fashion designer Jodhi Meares but then separated a few years later in 2002. He then married Australian model and singer Erica Baxter in 2007 and had three children Indigo, Jackson and Emmanuelle together. They divorced in 2013 and now Meares is expecting a baby with American musician Seal.